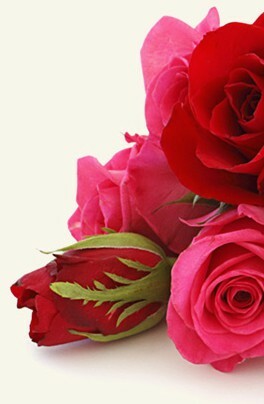 Login to my flowers4marbella.com account to track the status of your order or visit our customer service page. Login to my flowers4marbella.com account to modify your order or visit our customer service page. All changes must be 24 hours before delivery. After that time, we cannot guarantee there will be enough time for the changes you request. At Flowers for Marbella we only use the very best in security for our online payments. We use PayPal for our online payments and as one of the largest payment processors in the world their security is top notch. 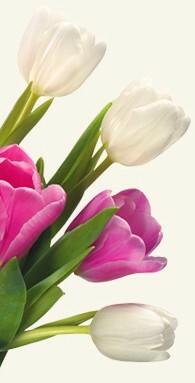 flowers4marbella.com keeps customer information completely confidential. Our company does not share customers' personal information for third-party use or sell it to advertising agencies. In the event of a legal requirement, fraud, or law-enforcement request, your personal information may be shared upon request from the relevant authorities. The delivery costs are: Benahavis 14.00 EUR, Benahavis La Zagaleta 14.00 EUR, Benahavis Madrona 12.00 EUR, Estepona Bahia Dorada 15.00 EUR, Estepona Cancelada 14.00 EUR, Estepona Estepona Town 14.00 EUR, Estepona Selwo/La Resina 12.00 EUR, Istan 15.00 EUR, Marbella Aloha 9.00 EUR, Marbella Atalaya / Diana 14.00 EUR, Marbella Banana Beach 12.00 EUR, Marbella Bella Vista 14.00 EUR, Marbella Cabo Pino 14.00 EUR, Marbella Don Carlos 14.00 EUR, Marbella El Rosario 15.00 EUR, Marbella Elviria 15.00 EUR, Marbella Guadalmina 9.00 EUR, Marbella La Mairena 15.00 EUR, Marbella La Quinta 9.00 EUR, Marbella Las Chapas 14.00 EUR, Marbella Las Lomas de Marbell 14.00 EUR, Marbella Los Flamingos/Villa Padernia 12.00 EUR, Marbella Los Monteros 14.00 EUR, Marbella Los Monteros Hill 15.00 EUR, Marbella Marbella Center 9.00 EUR, Marbella Marbella Club 9.00 EUR, Marbella Nagueles 12.00 EUR, Marbella Nikki Beach 15.00 EUR, Marbella Nueva Andalucia 9.00 EUR, Marbella Puente Romano 9.00 EUR, Marbella Puerto Banus 9.00 EUR, Marbella Rio Verde 9.00 EUR, Marbella San Pedro 9.00 EUR, Marbella Santa Clara Golf 15.00 EUR, Marbella Sierra Blanca/Sierra Blanca Country Club 12.00 EUR, Mijas Calahonda 15.00 EUR and Ojen 15.00 EUR. How do I contact flowers4marbella.com customer service if there is a problem? Use my flowers4marbella.com account to access your account and contact customer service. Alternatively, call our customer service department.